Sometimes you need space away from your familiar surroundings and regular routine to have a transformative experience. God can meet us anywhere, but intentional getaways create a unique opportunity for God to speak. 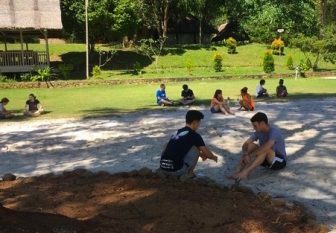 Rendezvous provides this kind of opportunity for High School-aged students who are living outside of their passport countries. 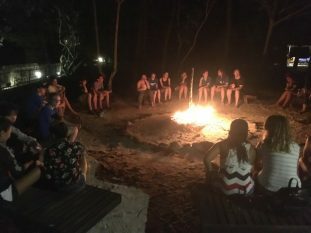 For 5 days, 22 students and 6 leaders from all world regions gathered on an Asia-Pacific island to talk about the challenges and blessings of transitioning back to your passport country. Through deep and interactive workshops, students were given tools to help them process the experiences they are having now, as well as those they will have when they transition. 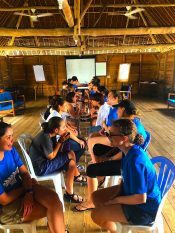 Topics like culture shock and conflict resolution, as well as relationships and vulnerability, were addressed throughout the week. The workshops weren’t the only thing the students engaged in. One evening they were challenged to a “skills-a-thon” where they learned basic skills like ironing a shirt, sewing on a button, and even paying a bill by check. There was a lot of laughter in the midst of these activities. One participant remarked that when he got home he needed to talk to his parents about learning more practical skills! CliftonStrengths was a part of the week as well. Self-awareness is key when anyone is in the midst of a life transition. 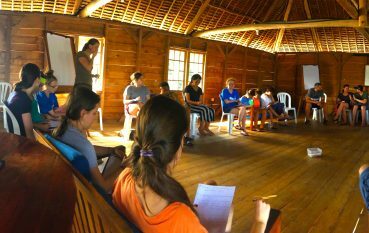 Each student sat down, one on one, with a coach to talk about how God has uniquely created them! This time was meaningful and helped to enhance the other learning the students were engaging in. Bonding occurred throughout the week, but team sports was a unique place this happened. Many of the students were unsure about their abilities in beach volleyball, soccer, and ultimate frisbee. Even though a lot of the participants hadn’t played some of these sports before, the teams meshed well and students stepped out of their comfort zones. They learned a lot about themselves in the midst of these activities. One of the other bonding experiences involved building rafts out of bamboo and barrels and then racing them in the ocean. Having fun together is crucial to the success of Rendezvous. These different opportunities provided a way for trust and bonding to occur. Worshipping together took place in small groups focused around the Word and in evening sessions that involved student led worship times. The week culminated in an activity addressing the masks we often wear. Each student was given a cardboard mask and invited to consider what sort of masks they wear. When they had prayed about this, wrestled with some of their struggles, and were ready to give that mask up, they walked to a bonfire to burn them. As each young person arrived at that place the words, “You are beautifully and wonderfully made,” were spoken over them as they cast the mask on the flames. This was an incredible time to be reminded of God’s good plans for each of us, His presence in our journeys, and His faithfulness to bring us through. It was beautiful to see the way the week, set apart in both location and intentionality, was transformative. That sandy beach definitely became Holy ground for all involved. You can become a partner to make more important training events like this possible! Learn more by clicking here: Asia-Pacific Rendezvous.